Arizonans could soon see meals and packages delivered to their doorstep by robot technology. Among the bills Ducey signed is a proposal sponsored by state Rep. Kelly Townsend, R-Mesa, that outlines the regulation for personal delivery devices that would operate on sidewalks. They would have speed and weight restrictions and require insurance. 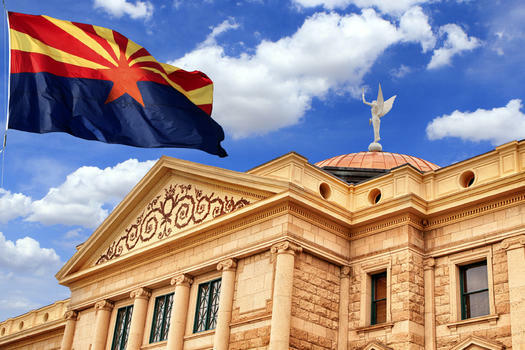 Townsend told The Associated Press that she was hopeful Ducey would sign the bill because of the opportunity for new technology to be developed in Arizona. But deployment could be a couple years out: Townsend said the companies who operate the delivery robots will have to execute testing and map the streets. She also pointed out the benefits that the technology could bring to residents who are unable to leave their homes or live far from grocery stores. "I think it's a great balance of what's needed, and they're welcome here in this state," she said. Townsend also opposed to the notion that the technology would take away jobs from other delivery jobs; rather, she thinks it will create jobs for people to operate and maintain the technology. 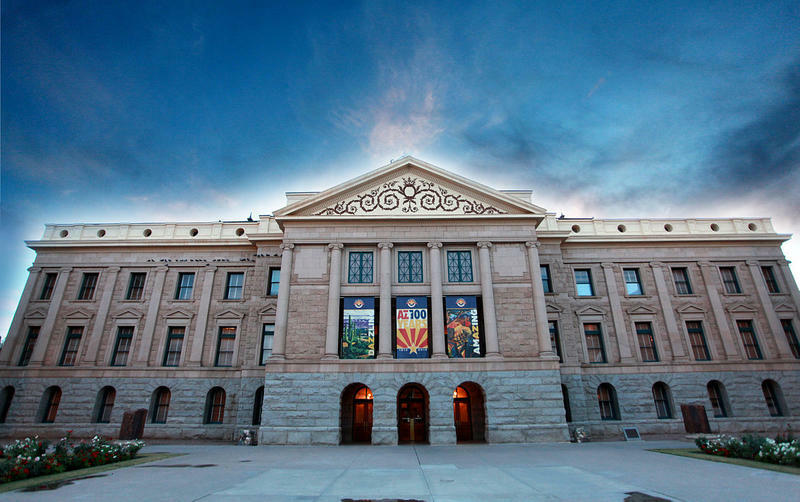 Ducey vetoed a proposal that would have allowed the Department of Revenue to have real-time collection of transaction privilege taxes — commonly referred to as sales taxes — that sellers and businesses pay to the state. The measure also would've allowed the department to look into other technological advances to its TPT collection. In a veto letter, Ducey said he was "concerned about the unintended consequences this bill could have on private industry." Ducey signed a hotly debated measure that requires unemployment insurance recipients to take any job that offers them more than 20 percent of what their weekly benefits are after four weeks of collecting. The legislation redefines "suitable work" as any employment that offers 120 percent of weekly benefit after four weeks on unemployment. Unemployment benefits are capped at a maximum of $240 a week, meaning someone who was laid off from a job that earned more than that could still only make 20 percent more than the maximum. The measure was opposed by all Democrats in both the House of Representatives and the Senate. Rep. Mitzi Epstein, a Democrat who represents parts of Phoenix and its southeastern suburbs, called the proposal "short-sighted" for limiting how much a worker is able to earn when they re-enter the workforce. "When people choose a job, they have to choose it on more than one factor," Epstein said. "This limits it to only one factor, and that's a very, very low salary." The proposal also lays groundwork for a training program that would help unemployed individuals learn new skills and gain work experience as they continue to seek work. Lawmakers voted to change the timeline for special elections to be held in the case of a congressional vacancy. Special primary elections for House vacancies will take place 120 days to 133 days after a vacancy occurs, as opposed to the current 80 to 90 days. The special general election would be held 70 to 80 days after that. On the U.S. Senate side, if a vacancy occurs more than 150 days before the next regular primary, the governor's appointee to fill the seat would serve until the seat could be filled at the next general election. If a vacancy is created 150 days or less before the next regular primary election, the appointee would serve until the second general election. The law is not effective immediately.  The proposal received support from county groups like the County Supervisors Association of Arizona and the Arizona Association of Counties. Ducey signed a bill that increases penalties car crashes that cause serious physical injury or fatalities. Courts will be able to suspend driving privileges for 180 days instead up to 90 days for violations that result in physical injury, and up to a year instead of 180 days for violations that result in death. It also increases a cap on restitution from $10,000 to $100,000, among other changes to how penalties are classified. Some Democrats voted against the measure. 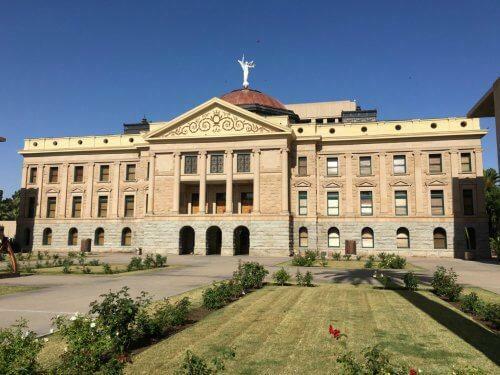 Ducey also vetoed a measure that would've increased the minimum liability limits that Arizona drivers would have to carry on their car insurance. Starting in July 2019, drivers getting new car insurance policies would have had to carry higher minimum policies — one change would've hiked the limit for injury or death from $15,000 to $25,000. 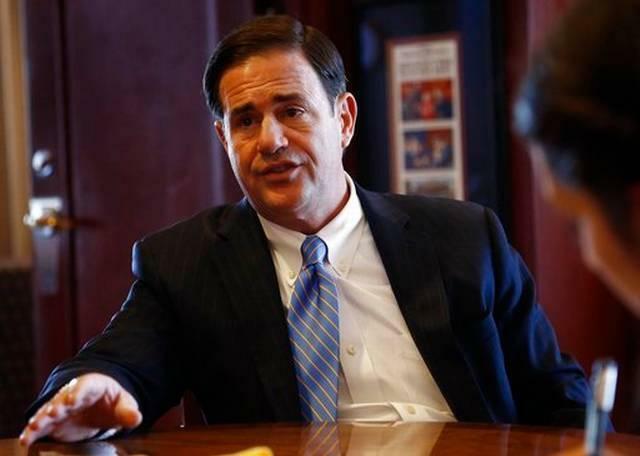 Ducey said in his veto letter that while he was open to the idea of revising minimum liability limits, he was concerned about increased premium costs for individuals who rely on affordable plans.